Alex, Clover and Sam bought a beautiful bracelet. But wearing them, the girl forgot everything related to espionage affair. 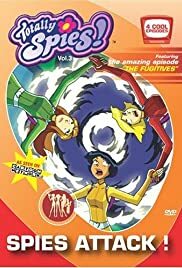 How many episodes of Totally Spies! have you seen? The misadventures of Andy Johnson and his best friend/pet Rodney, a self deluded squirrel who feels a constant need to include Andy in his insane and bizarre schemes. The perfect show for those waiting for Toonami to get more GOOD anime!!! 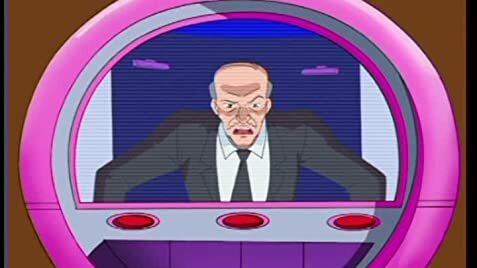 "Totally Spies" doesn't have a unique premise. Girls in skintight or scantily clad trying to save the world? I've seen it before on "Sailor Moon" and other shows, but considering that none of those shows has any air time anymore I enjoy the shows. The gadgets are really cool(half the time I want them). The criminals are devious enough. The characters are shallow , but fun. All in all the show is a prime show to watch if you're a fan of spy stuff, gadgets, or if you're just waiting for those people at the Toonami office to realize that that Batman show is NOT anime and that not everyone enjoys DBZ! 4 out of 5 for a cartoon. 2 out of 5 compared with the rest of television!